Improving your website may never end, but your frustration can. There's a better, smarter way to improve your website. 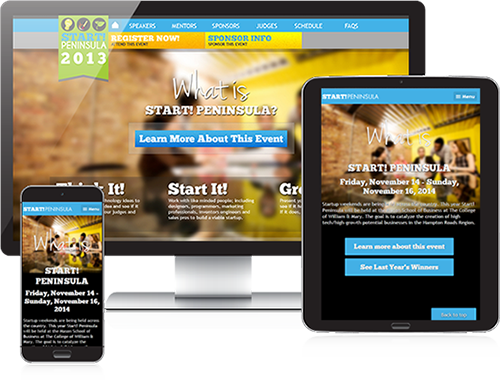 Your frustrations with traditional web design ends here. We rely on real time data from users to make the best and most impactful improvements to your site. We test and analyse continually in cycles to ensure we produce the best return on your investment. This approach is called Growth Driven Design (GDD) and companies are benefiting from it with insanely fast results, generating leads by the droves. Growth Driven Design allows companies to develop sites that are capable of reaching their full potential. We're not kidding. You can have a site that delivers peak results pretty much guaranteed. This is a systematic approach based on data; not guesswork. While there's no such thing as a perfect website, we can get you as close to perfect as humanly possible. We know you'll be excited with the results month after month. We can build your site in less time while decreasing risk. Boost conversions, improve your user experience and build more marketing assets.